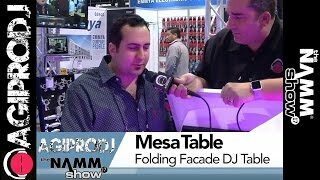 The MESA MK2 is the first affordable DJ Facade with Table made by PROX. 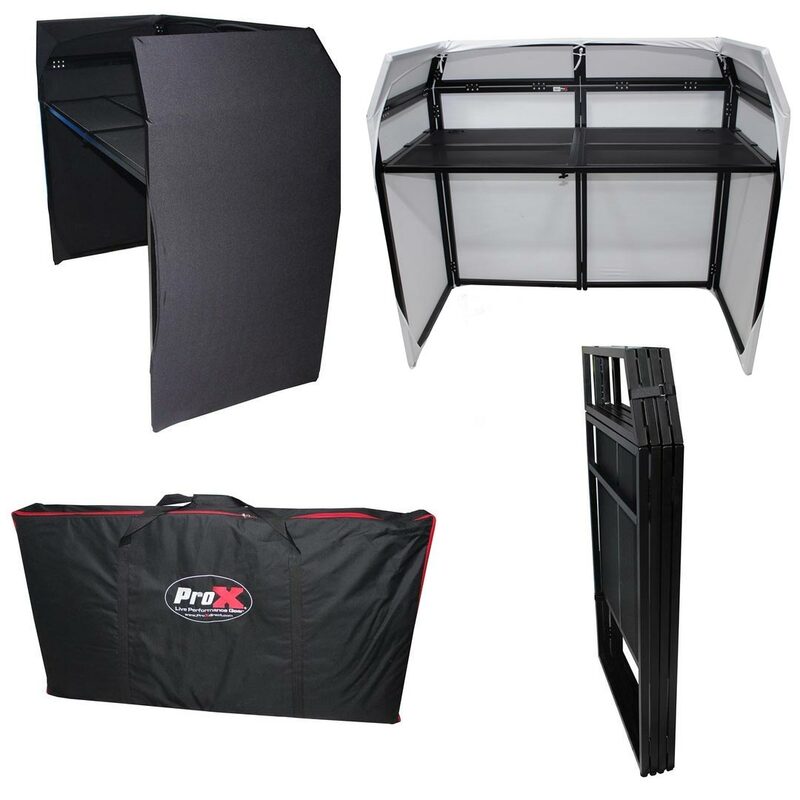 The PROX MESA Includes white and Black scrims and a carrying bag. A facade provides the look of an elegant professional work space, hides cables and helps protect your equipment while managing crowd control for the DJ! The metal frame panels are strong and lightweight and easily removable for cleaning and can be interchanged for color combinations using the included black and white scrims. The scrims are machine washable! Each panel is scratch resistant aluminum, finished in all Black. The light-weight transparent scrim Panels compliments Mobile DJ set ups. Adding lights behind this ProX Facade to illuminate the panels allows lighting effects variety. Be creative! You can use any of our rectangular panels to create that perfect setup for your wedding, birthday party, special event, or even in a permanent installation! Table Space: 51“ W x 25” D Height: 35"